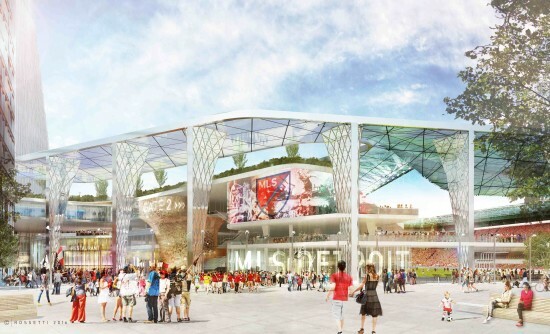 Detroit Pistons owner Tom Gores and Cleveland Cavaliers owner Dan Gilbert have announced their plans to bring a Major League Soccer team to Detroit with the release of initial renderings of a Detroit MLS Stadium and District. 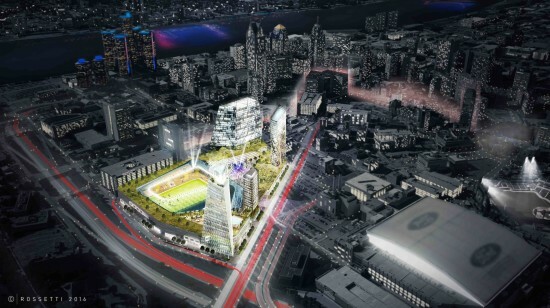 Detroit-based ROSSETTI has been commissioned to develop the plan, which includes a 480,000-square-foot, 20,000-seat stadium. 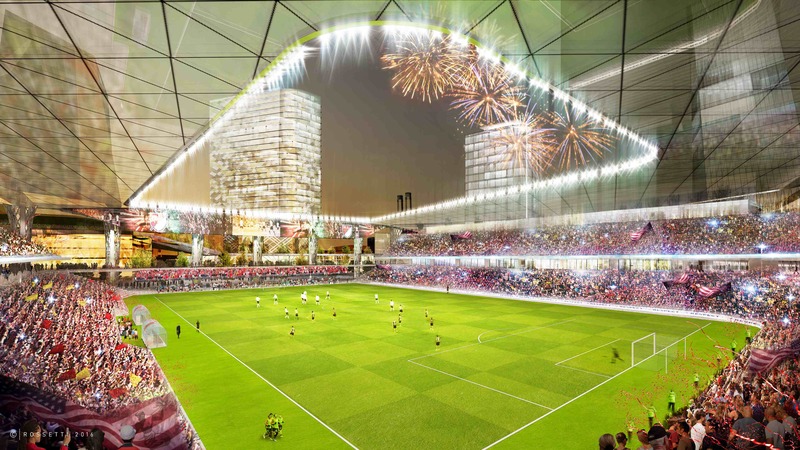 Adjoining the stadium will also be a 90,000-square-foot training facility, a 245,000-square-foot podium for commerce and recreation, and four towers containing hotel, residential and office space. “Central to the project’s design is porosity and creating an uninterrupted experience between the public realm and physical buildings. In it, we explore how to unite cities with nature, people with habitats, sports with culture. 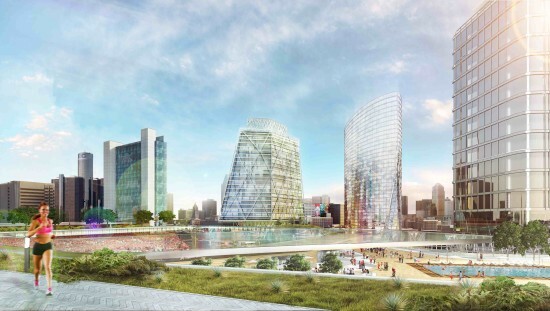 We endeavor to have all anchor developments facilitating pedestrian movement horizontally and vertically through a ‘green belt’ podium,” said Detroit Native Matt Rossetti, CEO and President of ROSSETTI in a press release on Wednesday. The large podium will connect the entire 8-10 block development with a continuous elevated greenspace which will be open to the public. The project is specifically designed to connect currently separate areas in the center of downtown at Campus Martius with the Eastern Market. ROSSETTI has extensive experience in sports facility building, and has complete five MLS stadiums in the U.S. and abroad. The site is currently an unfinished jail site owned by Wayne County.